There are many reasons why you'd need to backup or print your iPhone messages; perhaps they contain precious images you'd like to save to your photo library, or you wish to keep a copy of those long text message conversations, or even for legal purposes. 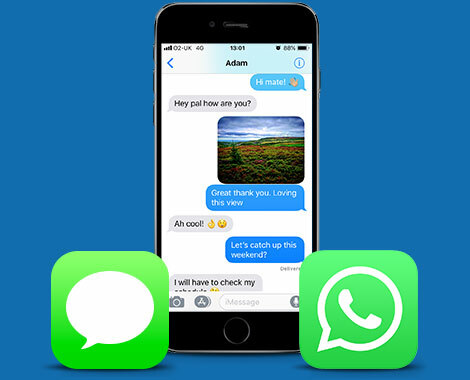 Whatever your reasons are, TouchCopy can help you save and print your Text Message, iMessage or WhatsApp conversations from your iPhone on your PC or Mac. Messages saved and printed by TouchCopy contain images and emojis included in the message, as well as dates and times they were received, should you need this information for your reference, or for example for a court case. If you're using an Android phone, here's how to print your messages. Export iPhone SMS, MMS, iMessage and WhatsApp Conversations. TouchCopy will display all your SMS, iMessage and WhatsApp conversations under the "Messages" tab in TouchCopy. Export your iPhone messages in HTML format. Save your iPhone messages as PDF files on your computer. Transfer your iPhone messages as plain text format on your computer. In addition to this, any images, videos and audio messages sent or received as part of your iPhone conversations will be saved to your computer using TouchCopy. 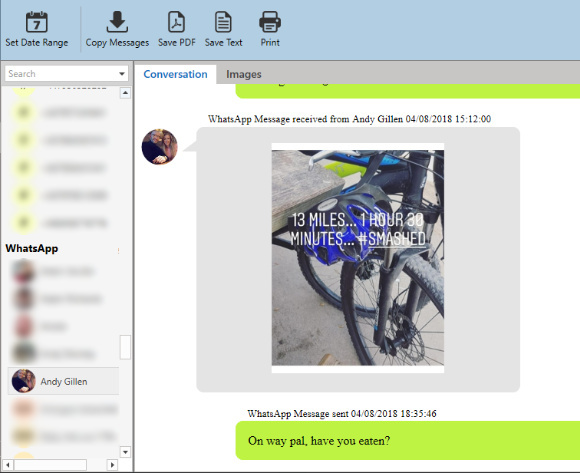 Please see our video here for a demo of how to transfer messages with TouchCopy. 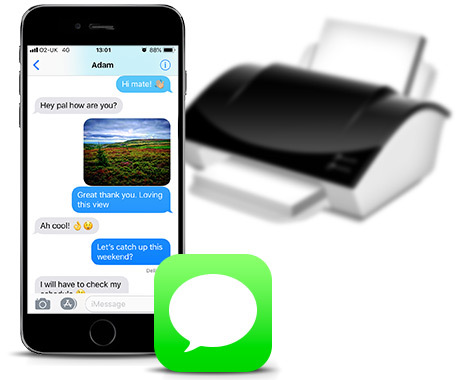 Or if you'd like to see how to print iPhone messages.